Do you ever listen to the thoughts that go around and around in your mind? You probably are so engaged with the self-talk you always do, that you don’t pay that much attention to it anymore. But, this could be dangerous because your self-talk runs your inner life. And your outer world is basically run by your inner world. Good reason to take a listen to that podcast in your head, right? How your self-talk influences your entire life. What your mind does when you ask it a question. Why the type of question you ask is so important. What is the absolute worst question you can ask yourself? And when you ask this question, why do you tend to do it over and over? What’s the next ‘one level up’ question, that might hurt or might help? And finally, what is the best question you can ask that will help you figure things out? Listen as I coach you on how to recognize these questions that run in the background all the time. Learn how to notice what you’re doing. And how to start rejecting those dangerous questions you’ve always asked, and substitute much more helpful ones. 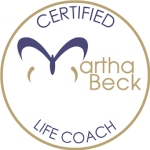 I will see you in our coaching session! When I work with my private clients, I do a combination of teaching them new concepts, and then also coaching them so they can get themselves to take new actions. What often comes up is total confusion about why they struggle in the first place. If they know what to do, why can’t they just do it? That’s why I first help them clear their path. This means that we explore together exactly why their efforts to achieve their weight loss goal hasn’t worked so far. By figuring this out, they can avoid going into the spin cycle they usually do, repeating all the same old mistakes over and over again. So here are the five main reasons why setting a weight loss goal isn’t working for you, and what to do instead. 1. The number of pounds you want to weigh isn’t motivating in itself. When you choose a goal weight, and pick a range of pounds that would make sense for your body, your age and your lifestyle, this number is exciting for about 10 minutes. Then, it’s just a number. And that number isn’t enough to motivate you to stay on track. What can you do instead? Think about why you want to weigh that number. What will it give you? How will you feel? We may imagine that our whole life will change when we reach a certain number. But any real change will come from you: how you think, what feelings you have, and what steps you take. The number is just a thing you think you want. The reason you want to be a certain weight is because of how you think it will make you feel. Understanding this is the first step toward figuring out how to get to that special weight. If you want to lose weight so you can feel confident, it will help if you learn how to feel confident right now. In your current body, at your current weight. Trust me when I say this can be done. 2. 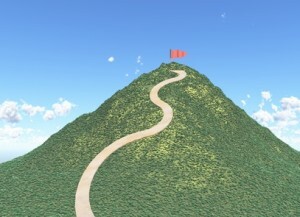 You expect your journey to your weight loss goal will be a simple, straight line. Simply said, it won’t! 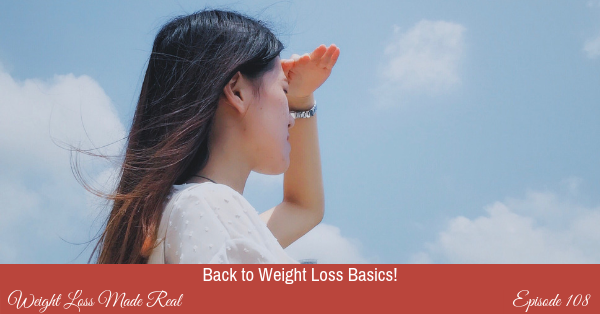 The path to permanent weight loss will be a winding road, with lots of detours, pauses, and bumps in that road. This is the norm. Sometimes when we run into the common roadblocks, we take it to mean that we’re not doing something right. And we just stop. This is a big mistake. The various roadblocks you will definitely encounter are to be expected. And the most important thing you need to do is keep going. And, of course, stop expecting your road to be a super-highway. It will be an unpaved, dirt road. And, that’s okay. 3. You set a weight loss goal, and then stay focused on the prize. When you first set a goal, for weight loss or anything else you really want, you do want to focus on the prize. You do want to imagine how it will feel when you get there. How you will act. How you will go through your day. And maybe how you imagine people will treat you. But once you’ve done that, you need to move your focus from the prize to the process. You need to put one foot in front of the other and keep on keeping on. If you continue to focus on the end result you want, the gap between where you are now and where you hope to go will seem enormous. And possibly, insurmountable. Figure out what your prize is. Get really, really clear on it. And then focus on the steps you need to take, day in and day out. 4. The goal sounds great, but what’s in between you and your goal? It’s really common to create an exciting goal, and then have all your excitement fizzle out before you have a chance to make much progress. What’s happened here is that you haven’t broken your goal down into little, doable steps. How do you get from here to anywhere? Simply by working backwards. Once you have your goal, work backwards and keep asking yourself: right before I got to this point, what did I do? And what did I do right before that? And before that? Keep working backwards until you get back to the beginning. And you’ll find that you have all the steps right in front of you. To be taken one at a time. 5. You expect yourself to be all in, all the time. The truth is that when we have a complex goal, with lots of moving parts, we need to be realistic and expect ourselves to have some degree of ambivalence. Sometimes we will feel gung ho and ultra-committed. And then sometimes we won’t. The stuff that makes our lives interesting will occasionally get in the way, and sometimes, we just won’t be excited about the hard work ahead of us. What to do? Don’t try to pretend those mixed feelings don’t exist. We all have some amount of ambivalence about things we want, even when we are committed. Just acknowledge those feelings when they come up and find a way through them. For every problem in reaching your weight loss goal, there is a solution that is just perfect for you. It will take some tweaking, and trial and error to find the right solution. Expect some bumps in the road. And I suggest that you make reaching your weight goal a challenge. Know that you have what it takes to figure things out. And that there is always support if you desire it. You can also click on the following to find out the benefits to Lose weight with ThermoXplode. I know this for sure: you can do this. For a very long time, weight loss has been a mystery. There have been countless books written about it. Many groups that you can join. And self-appointed gurus you can follow. Yet despite all the information out there, the constant scientific research, and time and money spent on solving this problem, most of you are still searching. The puzzle seems unsolvable. Remote. Out of your reach. But the funny thing is, it’s not. There is a way to lose weight permanently. Whether you eat out of habit, are an emotional eater, or succumb to binge eating. There is a way to get at the cause and learn to change the way you think. And then practice it. Until it becomes just what you do. So why does it seem like such a mystery? Weight loss is a huge money-making industry. We’re talking billions of dollars. Some of this money is spent on things that just don’t work. That play upon your fears and pain. 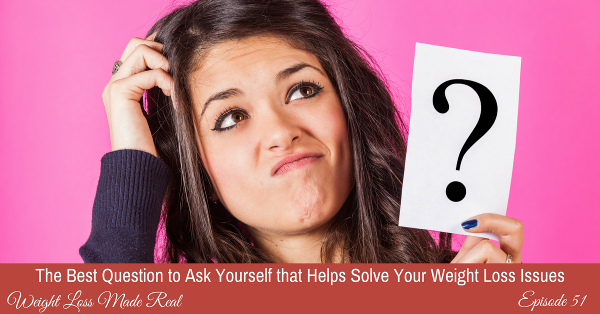 Most weight loss answers don’t address the root of your problem: why you are eating at all when you aren’t hungry. And what do to about it. And, how to get yourself to do ‘it’. So, I’ve decided to do what I do best. Help you lose weight permanently. How? I am going to give you everything I know about weight loss. I am taking the mystery out of weight loss. So you can know everything and apply it to your life. Clear your path: Here is where I will teach you how to clear your path from past failures so you can move forward and be successful. All the reasons your efforts haven’t worked to this point? We’ll look at them, correct them, and you’ll be on your way. Connect with your body: You will learn how a naturally thin woman eats and how she knows just how much to eat, what to eat, when to eat and when to stop. Challenge your thoughts: The way to get yourself to do what you want to do is an inside job. I will show you how your thoughts determine everything you do, and how to get them on your side. Check your habits: The latest science of habits will help you get rid of self-defeating patterns and begin to do things that are in your best interest. Choose your perspective: Learn about perspective and how it affects your daily choices, keeps you motivated and lets you fulfill your intentions. Cherish yourself: Do you really know how to take care of yourself? There are many, many books on parenting, but where are we taught how to lovingly care for ourselves? Create a toolkit: Yes! Take what you are learning and build your own toolkit of sustainable routines and personal systems so you can roll with the punches and always get back up. 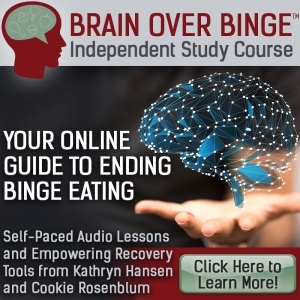 Confront your cravings: Learn all about your brain so urges will never get the better of you. Conquer your relapses: Regrouping and having a backup plan are always part of any good program. 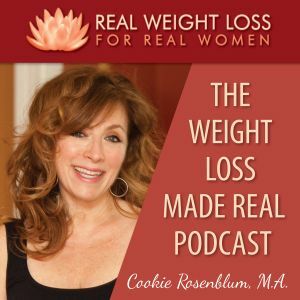 Everything I know about weight loss. 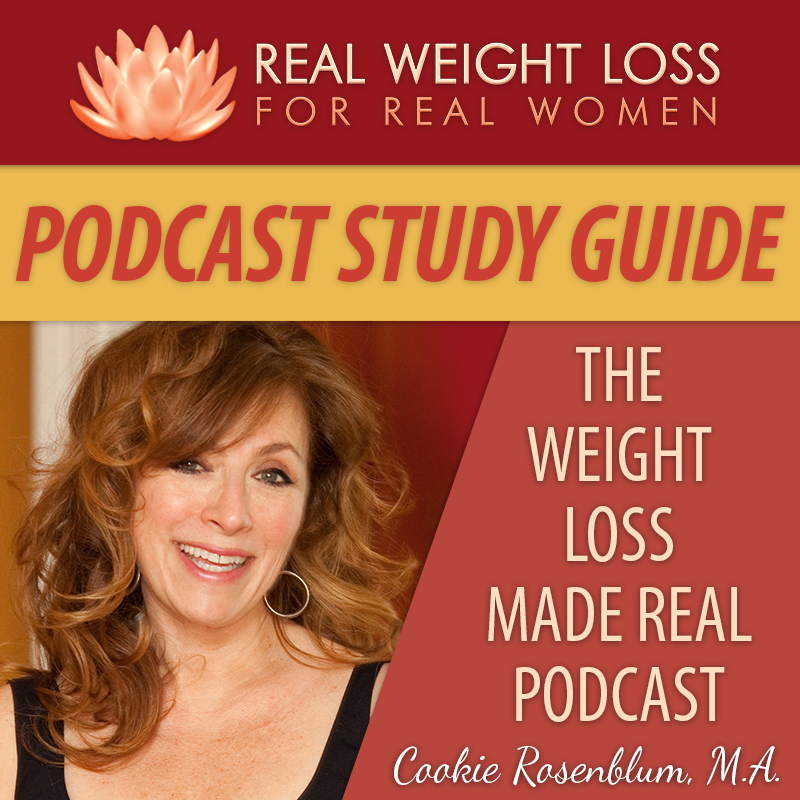 I work as a weight loss coach so that I can share what I have learned over many years. So your life can be better. If this works for you, that is wonderful. If it doesn’t, I understand. This may not be for everyone. 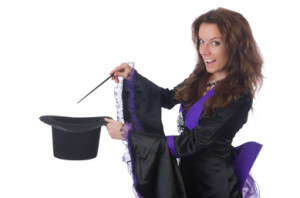 If you know someone who is looking for the magical answer, pass it on. Why Can’t I Lose This Weight?! It’s the universal question. Why can’t I lose this weight? How can I do so much and not get this one thing? In our quest to lose this weight, we tend to focus on the outside. What you should eat, how much, when to start, when to stop and how much to exercise. There are about 47 zillion answers to these questions. But even if there were one perfect answer (which there’s not), the problem is we’re asking the wrong questions. When we try to follow a diet, we are dealing with the symptom. 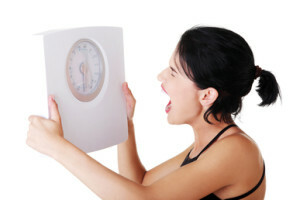 Excess weight on your body is a symptom of what’s going on with you. It’s a symptom of how your mind is working, and what your internal programming is. So if we treat the symptom, and don’t look deeper for the cause of the overeating, then you may lose weight, but it won’t be permanent. And this happens a lot! And when it happens over and over again, it’s really demoralizing. You follow a plan, you work REALLY hard, you dig up the most willpower you are capable of creating, and maybe, maybe, you lose some weight. But if you never figure out the WHY, the big reason you are eating too much, then eventually your extra weight will come right back. If you are able to get it off in the first place. Fast cars, fast food, fast credit, fast internet. And of course, fast weight loss. Fast weight loss is a quick fix. If it doesn’t address the reason you are overeating, you’re using precious time and energy doing the wrong thing. So it’s not that you can’t do it. It’s not that anything is wrong with you. It’s that you are doing the wrong thing. Figure out, or let someone help you figure out WHY you are eating more than you need, and do some work on that. Eventually, with increased awareness and some solutions, your need to eat from different emotions instead of hunger will just fade away. You won’t need to focus so much on what and how you are eating. You’ll be eating like a naturally slim person. Well, they eat when they’re hungry, and thoroughly enjoy their food, and they stop when their body has had enough. There is a way to learn how to do this. And after over 20 years in the weight loss business, I can tell you this: it’s the only way. And put your focus where it will help you get what you want. Not on what’s wrong with you. But on the big why. And it will happen. I promise.